Regular Delivery — $33.26 with 10% subscription discount. You spoke, we listened! Our Omega-3 Lemon Minis + Vitamin D3 offers what our customers requested - a highly concentrated omega-3 softgel that's small in size and tastes great! In three easy-to-swallow softgels Omega-3 Lemon Minis + Vitamin D3 delivers a 2:1 ratio of DHA to EPA to support healthy brain and cardiovascular function. * Each serving contains 1100 mg of omega-3 fatty acids and 600 IU Vitamin D3 to support a healthy immune system as well as bone health. * Our product is independently tested and certified to ensure purity from contaminants and heavy metals, including mercury and lead. Other ingredients: Highly refined and concentrated omega-3 marine oil from Calamarine and fish oil (squid, anchovy, sardine, mackerel), capsule shell (gelatin, glycerine and purified water), natural lemon flavor, natural mixed natural tocopherols (soy), cholecalciferol. Free Of: Yeast, wheat gluten, milk/dairy, sodium, sugar, starch, artificial coloring or preservatives. How is Omega-3 Lemon Minis + Vitamin D3 purified? Cardiotabs Omega-3 Lemon Minis undergoes a highly complex purification processes including molecular distillation. How is Omega-3 Lemon Minis + Vitamin D environmentally friendly? Cardiotabs Omega-3 Lemon Minis is a sustainably sourced DHA and EPA concentrated marine oil. Cardiotabs Omega-3 Lemon Minis Marine Oil is a product of food grade calamari production. This oil is obtained using safe and sustainable fishing techniques that do not destroy the ocean habitat or deplete the fish stocks. What part of the world is the omega-3 oil sourced from? 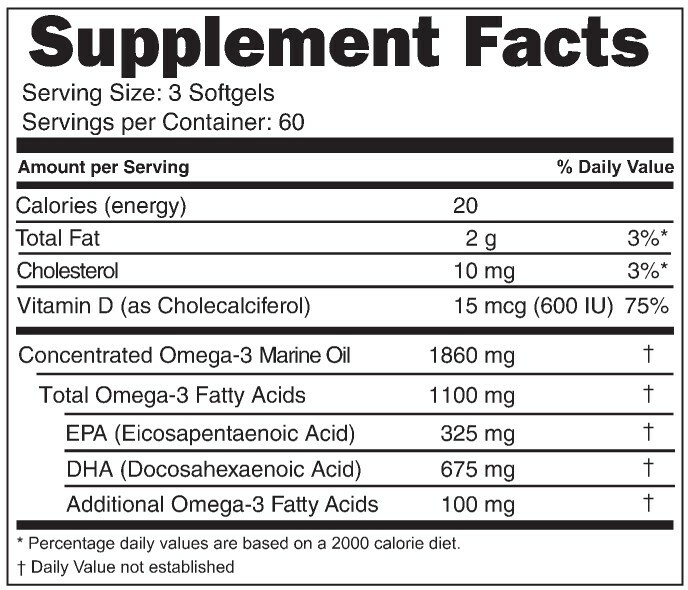 The omega-3 oil is a product of natural marine oils primarily from the Pacific Southeast and Northwest. Love these! Finally a quality fish oil without the fishy burps and a great small size that my teens can take too! I'm not good with swallowing pills and I've tried several other products and they just were too difficult for me to swallow. Finally I have found a product that is the perfect size for me and I don't get the fishy burps. 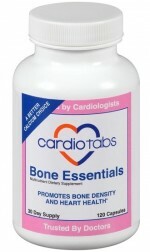 I just wish the "Actual Size" was on all Cardiotabs products. I would try others. These are great - the same great Omega-3 product in a smaller, easy to swallow, and tasty version. 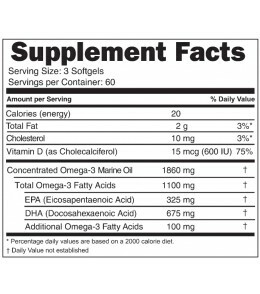 My husband and I have used all of the Omega 3 supplement options and have been pleased with them. Cardiotabs Omega 3 supplements are the first source of Omega 3 that I have been able to take that didn't cause stomach distress. I've been faithful to this supplement for 3 years and the lab results show SUCCESS. Thank you. Easy to swallow and absolutely no aftertaste. Highly recommend! I like the lemon flavor and my lipid numbers are better since I began taking these. Easy to swallow and no bad taste. Easy way to increase Omega 3 and Vitamin D3 in your diet. I love these. They are a good size for me as I have a very hard time swallowing large pills. I have been taking them now for 10 years and wouldn't ever be without them. I can tell a difference in myself if I let me run out. Great product. I have been taking Omega-3 Lemon minis + Vitamin D3 for years and plan to never be without them. It not only gives me a boost in brain power but has the added D3. I highly recommend this product. I love the smaller size of the capsules. So much easier to swallow than the OTC fish oil capsules that are so much larger. Have taken these for several years. I love the new Lemon Minis. No after taste. My husband and I take the Omega-3 Lemon Minis regularly and have for years. The small size is easy to swallow and my husband says these are the only ones that don't bother him if he does burp. I never burp with these. Great product and after taking them, along with other products here, we have been able to manage our cholesterol along with a heathy diet. No rx drugs for us! 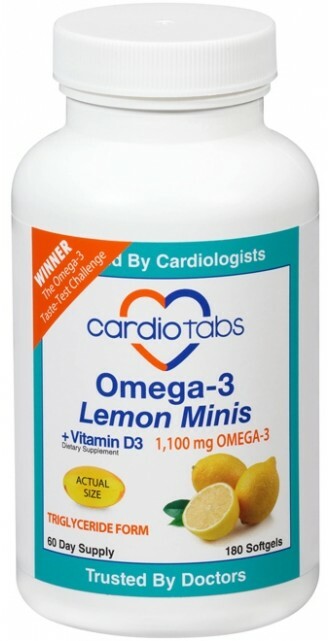 My wife and I have been taking Cardio Tabs omega-3 for many years and especially like the smaller size of the Lemmon Minis. Good, quality product. 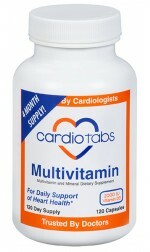 Essential vitamins and minerals for cardiovascular support. * New capsule color!